Compared to the hype surrounding Mother’s Day in May every year, Father’s Day often passes quite inconspicuously. Most families have celebrations, usually with a family dinner at dad’s favourite restaurant or eating his favourite food at home. Some merchants even rolled Mother’s and Father’s Days together and dubbed it Parents’ Day – a name that has negative connotations for me because it reminds me of that dreadful day when my parents would meet my teacher in school to get a painfully honest report about me! Father’s Day may come and go and fathers may still be here or no longer with us, but we just go on treasuring them and making precious memories. A friend, who lost her dad to cancer four years ago, told me that she still misses him dearly, especially on his birthday and on Father’s Day. To cherish our fondest memories of him, we have established an annual dinner date on his death anniversary to celebrate his life at his favourite restaurant! Another friend recalls that each time he and his dad ate chicken he was always offered his favourite drumstick while his dad eats the bishop’s nose. For a long time he thought that his dad’s favourite part of the chicken was the bishop’s nose until he discovered that his dad’s favourite was also the drumstick. Then it dawned on him that his dad was making a sacrifice and always giving him the best of everything. 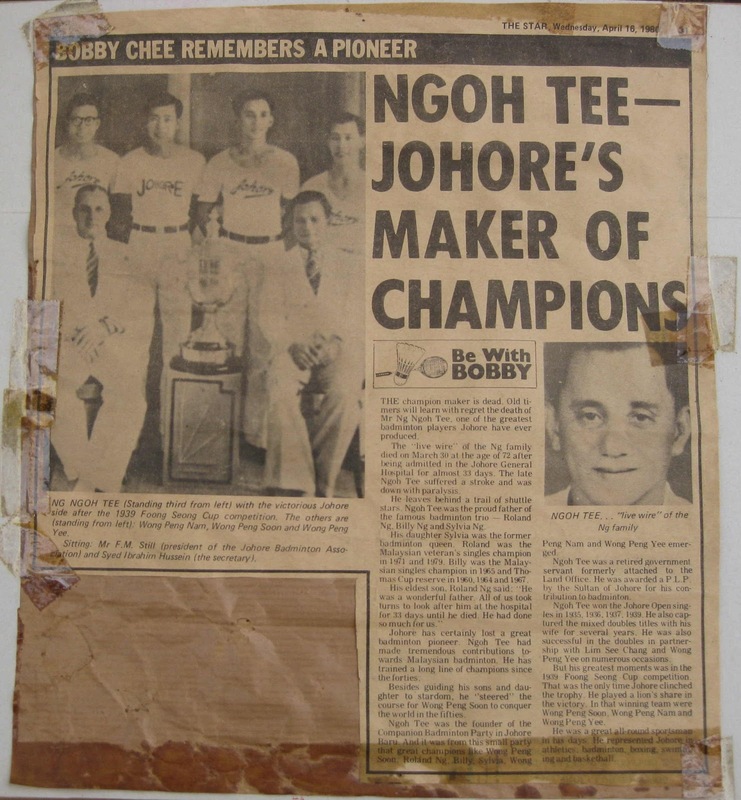 While cleaning out a cupboard at home recently, I discovered an old newspaper cutting written about my Ah Kong or grandfather shortly after his demise on 30 March 1980. As I re-read the yellowed newsprint paper, I vividly recalled that day because I was on afternoon shift during the 33 days when he was in the Officers Ward of the then Johor Baru General Hospital. I was at his bedside when he breathed his last and can remember making that phone call home from a public phone in the lobby to inform the family of his demise because back then, nobody used mobile-phones yet. 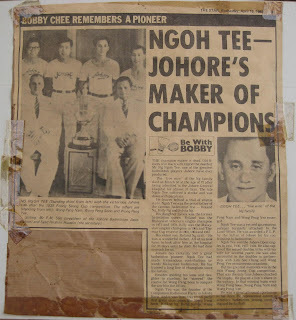 It’s been 33 years since his passing but to this day, Johor Baru folks familiar with Ah Kong would still refer to mum as “anak Ngoh Tee” or a child of Ngoh Tee, when they happened to meet up. It fascinates me to hear this because traditionally, it is common to link a person’s identity to his father reputation. It was also recently that I discovered that Ah Kong was thus named, Ngoh meaning fifth in Teochew and Tee for younger brother because he was the fifth among his brothers. I had the privilege of experiencing Ah Kong in my childhood and understand that while he was quite an Anglophile who decided to register all his children with English names, he was still big on culture and traditions. 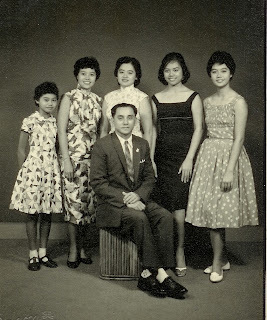 He and grandma often had movie dates to watch Teochew opera movies at Capitol or Broadway theatres and they would walk downtown and back quite safely from our house at 154 Jalan NgeeHeng. After his retirement, I remember how Ah Kong used to stretch out on his reclining chair to listen to Teochew operas from long-play vinyl records and later when he went about watering his orchids, he would be humming those classic tunes! 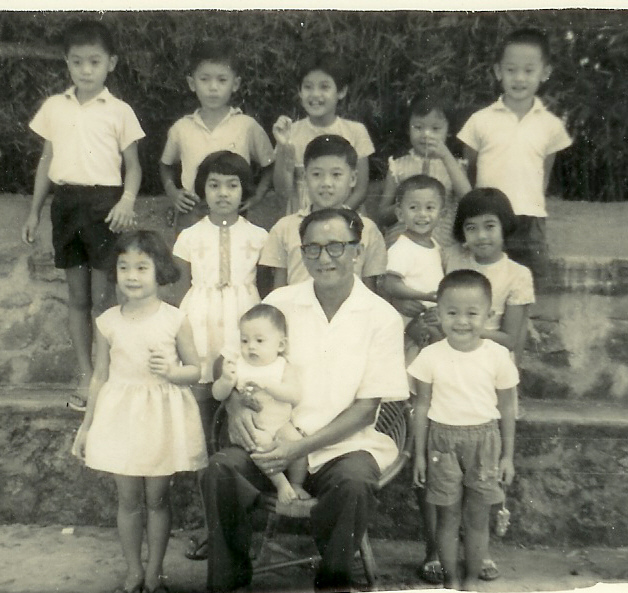 As grandchildren living with our grandparents to attend nearby schools, my siblings, cousins and I were on the receiving end of Ah Kong’s goodwill and generosity. 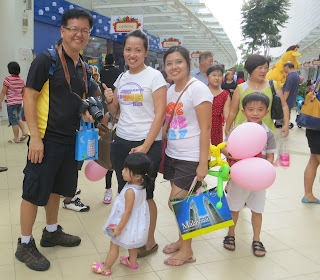 On weekends, after we have completed our homework and assigned household chores, he would take us for morning shows at Rex or Lido theatres at Jalan Wong Ah Fook and I was always thrilled to watch movie trailers on the big screen before the main feature, usually a cowboy story set in the Wild West. Other treats was our pick of sweets like Fruit Gums or Mentos Mints from the snack stall and the unforgettable to and fro walk that gave us an interesting view and taste of the stink of JB’s infamous Segget River! 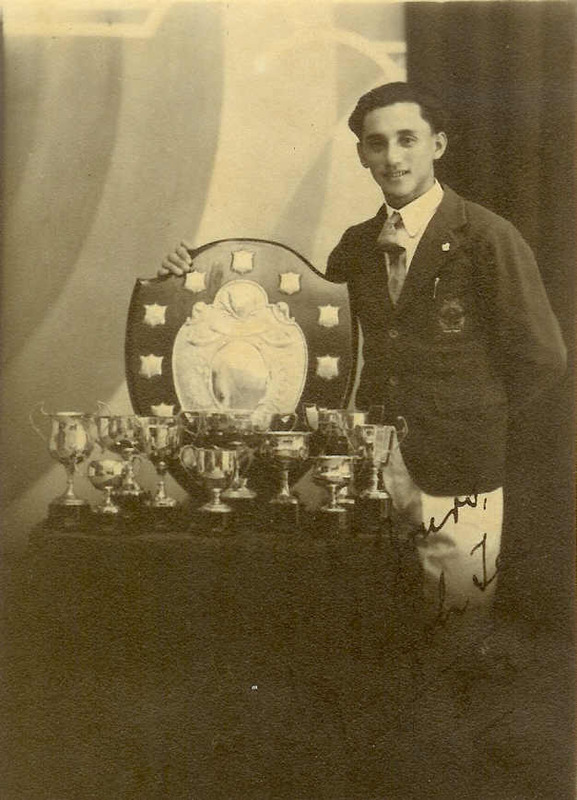 While Ah Kong was Johor badminton champion in the 1920s and 1930s and he trained champions in his Companion Badminton Party since the 1940s, he also encouraged us in the game by modifying rackets into shorter shaft lengths to match our heights. I remember how Ah Kong used to sit on the umpire’s chair to keep score and sometimes he would partner one of us kids to play a doubles game and send us running around the court with his tricky cross-court strokes. One of my fondest memories of Ah Kong is how he would joke that he could beat us even when he played with one hand tied behind! Ah Kong’s passion for the game clearly influenced the sports careers of his 11 children and his badminton knowledge has been passed down from one generation to the next as they trained together as sparring partners and developed a winner’s mentality as a great badminton family in the South. Just as Ah Kong will be forever remembered as a father who wants the best out of his children, we can fondly remember our fathers and honour them for their part in moulding us to be the best we can be. Happy Father’s Day! Last year I heard my friends discussing the challenge to climb Mount Kinabalu, the highest peak in Malaysia and I encouraged them to do it while they still can. 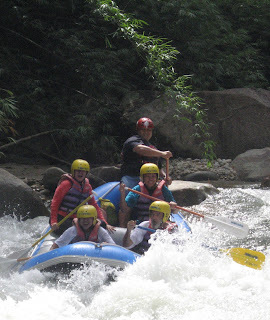 Several years ago I had the thrill of climbing to the foothills of Mount Kinabalu but since I had no desire to be a mountain climber, that experience was enough for me. But for this group of young adults, it was a major project to take on the mountain and they knew they should get fit for the physical challenge. Very often we put off what we can do now for later and by the time we think we have the time to do it, circumstances may have changed or our health may not permit us to pursue it. In this age of modern technology, our lifestyle is mostly sedentary because we are spoilt by too many things that can be done remotely or by the touch of a few buttons. 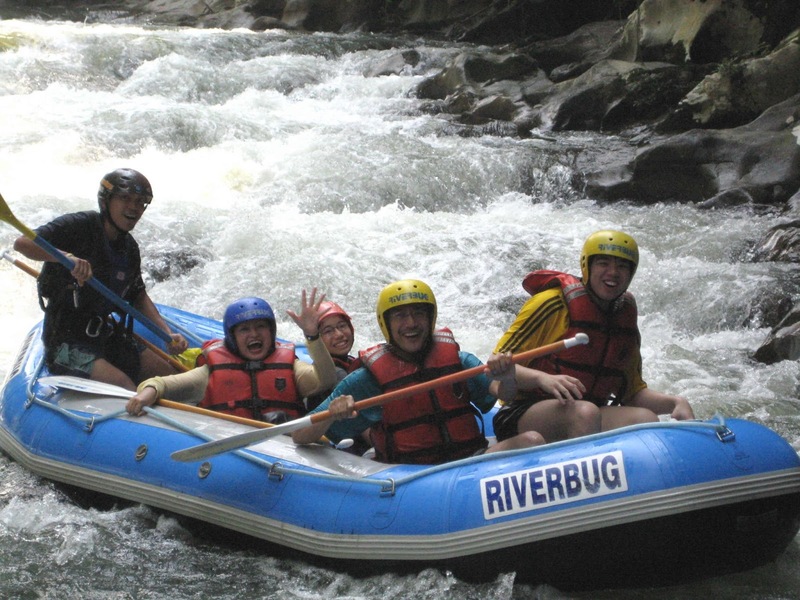 In fact, so many young people have fallen into this laid-back lifestyle that they have to be challenged with a stint at National Service to get them to experience the great outdoors. 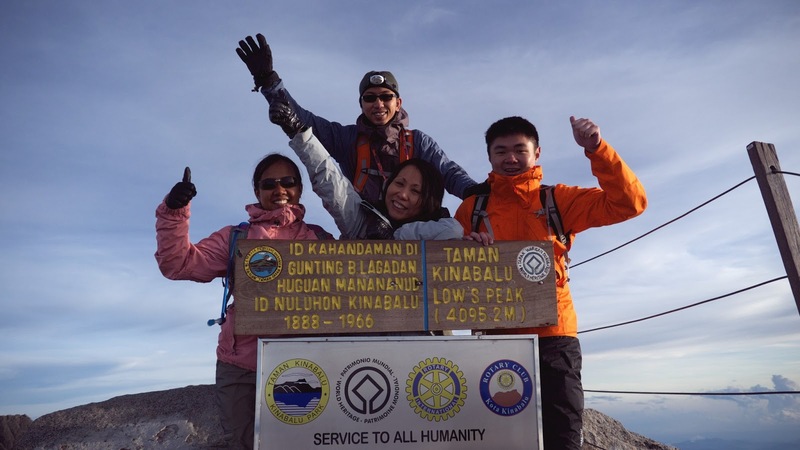 My friends were so determined to achieve their goal to conquer Mount Kinabalu that they committed themselves to a regular exercise regime, as often as a few times a week as the date drew closer. From brisk walking, stairs climbing and frequent treks up nearby Gunung Pulai in rain or sunshine, I saw how serious they were about getting fit for this mountain adventure. They also changed their eating habits to a high protein diet and when I was invited to enjoy a burger meal with them, I saw how they devoured chunks of juicy meat without the bread! By the time this team of six climbing enthusiasts were packed and ready to leave for Kota Kinabalu, they were fighting fit and pumped up to scale their way to the summit. They set out with the added confidence that one of the guys has some climbing experience in Nepal and that they could stay in touch with modern technology. 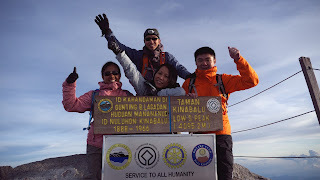 This they used to their advantage by posting regular updates of their climb with photos when they set out from Mesilau to Laban Rata on April 27 and on April 28, we shared their pride when they reached the peak of Mount Kinabalu at dawn! After descending from the summit, they were understandably still feeling “high” from their exhilarating experience and already talking about their next climb. While Mount Everest may be the ultimate goal for serious climbers, they agreed that they should gain more experience from exploring local peaks and it did not take them long to decide on trekking up Johor’s own legendary Gunung Ledang, also known as Mount Ophir. Enthused by tales of their climbing adventures, a few more friends joined them and successfully completed this climb on May 24. I can relate to how it feels to have achieved something extraordinary and then encouraging others to have the same experience. After some of my travel writer friends and I thrilled to our white-water rafting adventure in Gopeng in 2007, I was so unbelievably keen about it that I encouraged my family members to have that adrenalin-pumping experience at least once in their lifetime. Two years later when my English niece and nephew came for their Malaysian vacation, I did not hesitate to add rafting into our itinerary and to this day, we still fondly talk about one of our most unforgettable outdoor adventures ever! I'm not suggesting that we start climbing mountains or swimming across oceans but to set short-term achievable goals and aim to achieve them, one at a time. 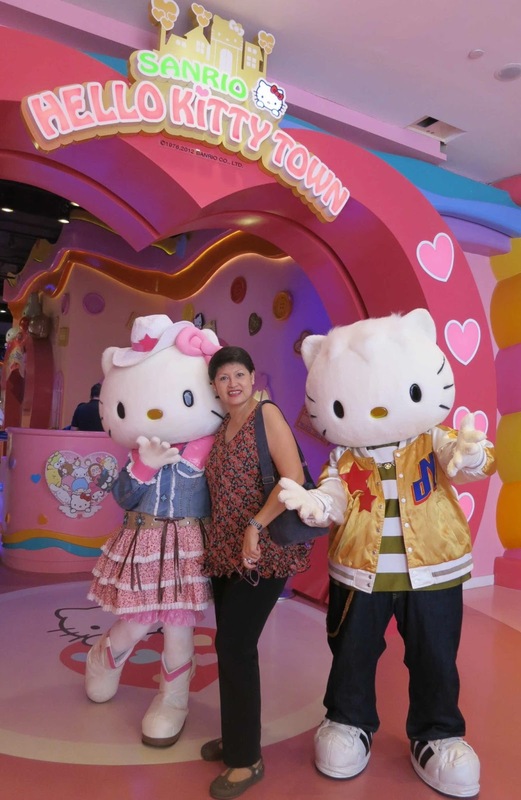 Your goal may simply be to speak and write better English, learn a second language like Mandarin or Tamil, to swim or play a musical instrument or visit Legoland Malaysia and Hello Kitty World. It may be difficult or seem like a challenge at first but with sheer determination and proper planning, you may just achieve another goal and add another feather to your cap! These goals are not just for youths or the middle-aged but also for the seniors because after my dad retired, first from Government service and later from working with visiting doctors at estate clinics, he learnt to play the piano. He only attended a basic music-reading course with Yamaha Music and through sheer commitment and a love for music he practised often to learn to play several of his favourite pieces. We only had a second-hand piano at that time but he derived such pleasure from playing and stunned everyone when he even played without the aid of notes! My dad, who will turn 91 this October, started learning to read and write the Tamil script several years ago and was the most regular and probably the most hardworking class member until they changed the class time to Sunday morning. After dropping out from the class, he acquired an English-Tamil dictionary from India through a cousin who frequents India for work, and spends countless hours practising writing the Tamil script on any available piece of recycled paper at home. 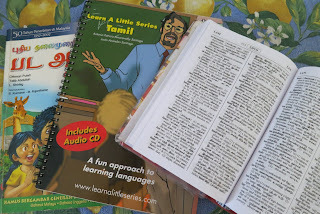 Having added more Tamil words into his vocabulary, he is now having fun impressing Tamil-speaking friends as well as staff in Indian restaurants, with his command of the Tamil language! Hello Kitty and Dear Daniel! So is it complacency or sheer laziness that keeps us from stepping out of routine or our comfort zone to do something different? 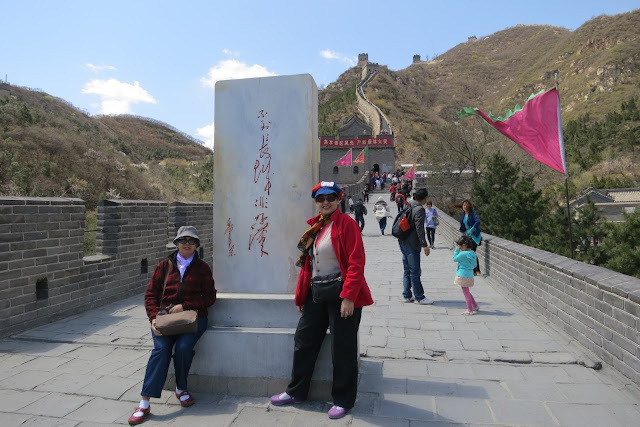 If it is your dream to walk on the Great Wall of China, swim with the dolphins or meet Hello Kitty, don’t wait but do it now. And then live with no regrets! 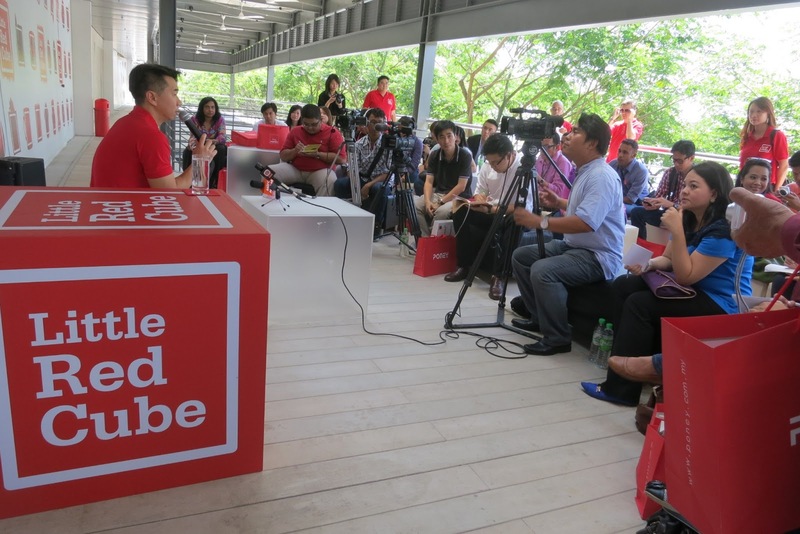 On June 4, I received a phone call as a follow-up to an email from the event organizers, reminding me to join them for breakfast the next morning before the media launch of Little Red Cube in Nusajaya. 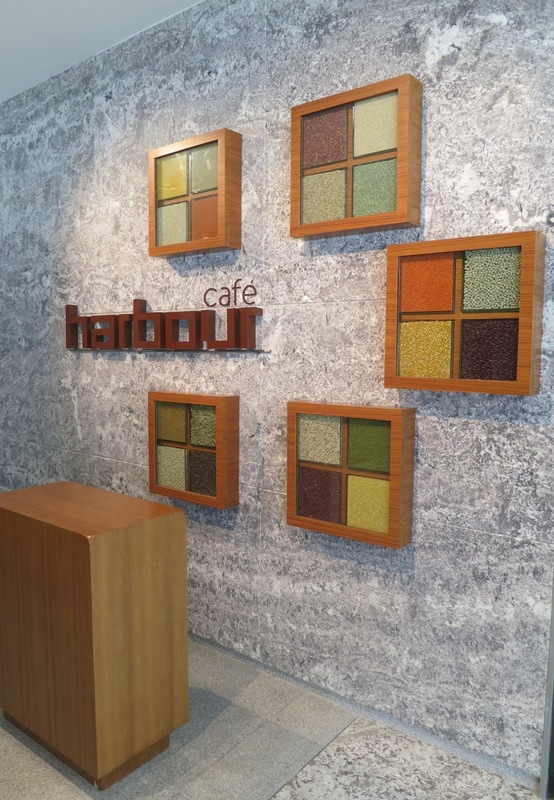 I’m told that I should be at the Harbour Café in the spanking new Traders Hotel Puteri Harbour and I thought it was timely for me to have an experience of the hotel. I remembered Aidah’s invitation to the hotel’s soft opening on June 1, which I could not attend because I was in KL for my grandma’s 101st birthday. I’ve worked with her before and I knew that in her role as the hotel’s Communications Manager, she will certainly be on hand to meet the media. 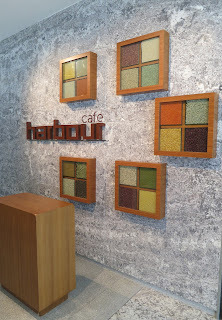 As my feet sink soundlessly into the plush carpet at the entrance to the Harbour Café, I pause to take in the décor and admire the nostalgic theme in the colourful montage of seeds and spices as well as the range of traditional receptacles used by the various local ethnic groups. I confess that I’m also distracted by the colourful jars of pickled fruits that line the walls of the path leading into the dining hall and my mouth water in reflex. I can’t resist quizzing their staff about the appetizing looking jars of fruits but his answer quashed my hope of ever tasting them because he told me they were strictly for display only! I’m shown to a section of the café reserved for the media and as I’m early, I can have my pick of the tables. But before I sat down, I spotted Aidah! She was recently busy with the hotel’s soft opening and understandably not updated with the recent happenings with me. Even though we are in a brand new environment, it feels just like old times when we sat down for a coffee to catch up with each other. As the mug of coffee was served, I caught a waft of its delicious aroma and when I tasted the fresh brew, I privately approved because it clearly complements the standards of an internationally established hotel brand. I congratulate Aidah on the opening of Traders Hotel in Puteri Harbour and anticipate a tour of the facilities for a review when they are fully operational. I last visited her here when I was on my way to the Puteri Harbour Family Theme Park and she was then working out of a temporary office. With the hotel now open, I can imagine her pride and sense of achievement as a member of the pioneer team. Just as we finish our little chit-chat, the rest of the media arrived and I join the group for the launch event that was followed by a tour of the attractions in the Little Red Cube. Later in an exclusive Tete-a-Tete session with Dato’ Eddy Leong, Chief Operating Officer of Destination Resorts and Hotels, the owner and developer of Little Red Cube, we learnt that the tenant mix here will present visitors with a retail experience that is different from other retail malls in Johor. 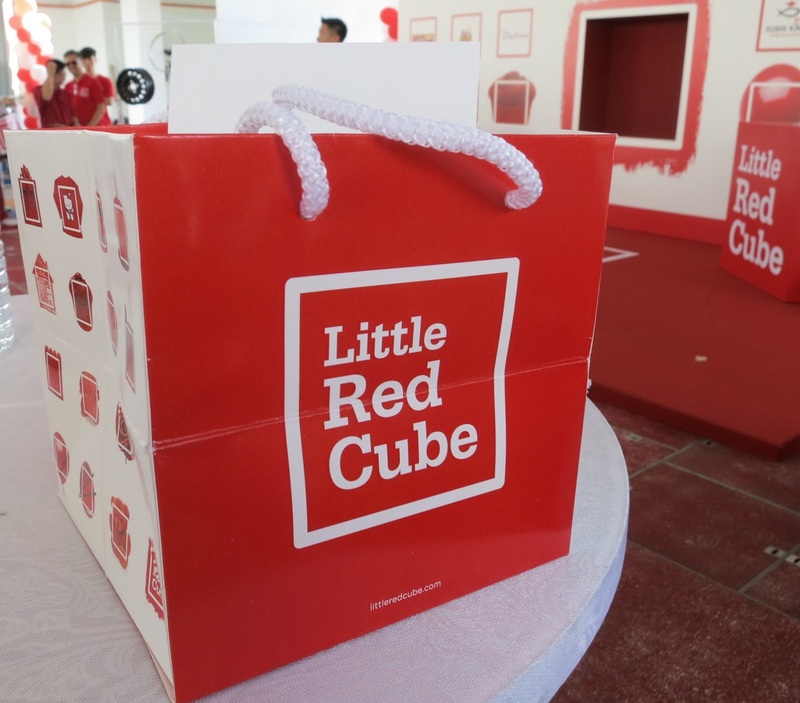 The retail community in Little Red Cube, made up of renowned brands in products and services as well as Food & Beverage outlets, will be open in stages and is scheduled to be fully opened by end 2014. Since the launch coincided with the school holidays, a Carnival with entertainment planned throughout the day and more highlights during weekends, is organized from June 5 to 23 to give visitors a taste of the fun and excitement in the Little Red Cube. From live band performances every Friday and Saturday, competitions in “Jumbo Sumo Wrestlers,” “Hot Wheels Car Race,” and “Nerf Gun Challenge,” caricature drawing, clowns and stilt-walkers to children’s games, the concourse of the Little Red Cube is transformed into a carnival ground. 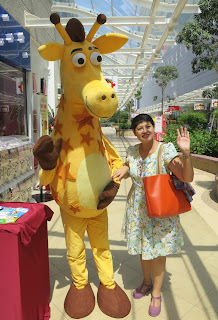 Peggy, the Johor Storyteller meets Tony Johorkaki! As I walk towards the event area, I pause at the stalls for a peek at the activities presented by the retail community in the Little Red Cube. 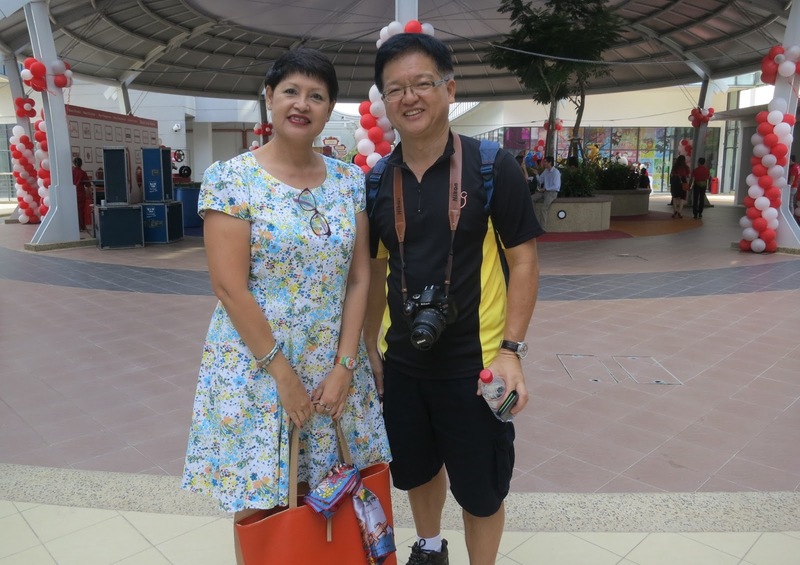 When I turn to head down the pathway, I saw a gentleman who seems rather familiar and it took me a moment to recall that I just saw his photo in a recent interview with The Iskandarian, JB’s first community newspapers! He probably also recognized me because he stopped to introduce himself as Tony better known as Johor Kaki, a Johor foodblogger! The affable Tony is full of praise for My Johor Stories and I blushed even more when he thanked me for being his inspiration during his early days in food blogging. Wow! It’s not every day that I receive such kind compliments from an award-winning blogger. It’s ironic that this popular Johor food blogger is not even a Johorean [he’s Singaporean!] but his blog, Johorkaki, won the Malaysian Ministry of Tourism’s Best Fabulous Food 1Malaysia 2013 blog award! 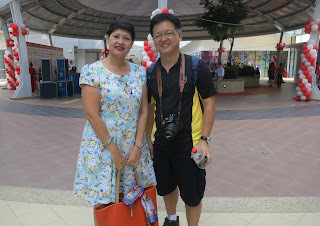 While we have a mutual respect for each other’s work, it’s funny that when we finally met, we just recognized each other – Tony the Johor food blogger and Peggy the Johor Storyteller! We have so much in common that we chatted over lunch, exchanging ideas and discussing the ethics of food reviews, among other plans to promote and preserve Johor’s food culture and heritage. Thanks to the event at the Little Red Cube, we shared a very informative and interesting day. At the close of the itinerary with the media, as we are about to leave the Little Red Cube, I’m amused to see two ladies with children in tow, suddenly stop in their tracks when they recognized Tony! They are clearly fans of his food blog because they spoke rapidly, showing the thumbs-up gesture in an expression of their gratitude for his reviews and recommendations. The spontaneous reaction from his foodie readers is a strong compliment for his work and an encouragement to take his food blog to the next level! Congratulations Tony – Johorkaki!